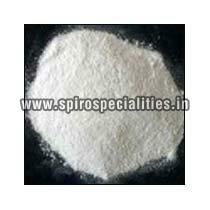 Our company is a noted Manufacturer and Supplier of Non Ionic Softener based in Tamil Nadu, India. The Non Ionic Softener offered by us is ideal for enhancing the smoothness and finish of a cloth. Though available in various sizes, we can also customize the order of Softener to suit customer’s requirement. Customers can acquire Non Ionic Softener in bulk from us at pocket-friendly rates.